phi47 has no other items for sale. 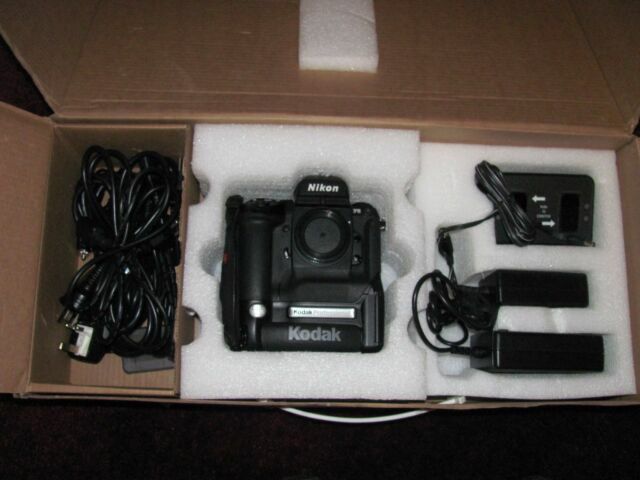 Details about Nikon Kodak DCS 760C 6.0MP Digital SLR Camera, Body w/DP-30; EX++! More w/BIN!! Nikon Kodak DCS 760C 6.0MP Digital SLR Camera, Body w/DP-30; EX++! More w/BIN!! The Kodak Digital Camera System is a series of digital single lens reflex (DSLR) and digitalized camera backs that were made by Kodak in the 1990s until 2005. This DCS 760 was made in conjunction with Nikon and was one of the last models in the series. What makes it interesting is that it has features and compatibilities in both the modern and traditional film mode. This series of D single lens reflex were among the first commercially available DSLR. Its design is based on existing 35mm film SLRs from such photographic equipment brands. This DCS 760 is comprised of a 2-megapixel DCS 720x, the 6-megapixel DCS 760, and the 6-megapixel 760m, which had a monochrome sensor. One of its strongest features is that is uses 6.3 megapixel KAF-6303CE CCD, one of the largest CCD sensors for professional DSLR’s ever made. The CCD’s effective imaging area measures 27.65 mm by 18.48 mm and has a cell size (pixel size) of 9 mm by 9 mm. This Kodak device has a 1.3x focal length multiplier. For wide angle work there’s a 28mm lens on the 760 would have the equivalent picture angle of a 36 mm lens; on the D1x, it would be equivalent to 42 mm (1.5x focal length multiplier). Kodak worked with a number of different iconic photographic manufacturing companies to make DCS, and as this is a Nikon version, you’ll find most of their lenses from this era and after work on it. 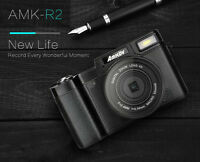 The device has a viewable 2-inch LCD screen that enables you to easily review your photos. It also offers connectivity through a USB cord or PCMIA connector offering multiple ways to upload photos and videos to your personal computer or laptop. These cameras feature a programmed AE with a shift option as well as weighted metering and 1.5 fps. It has an ISO range of 80 to 400. They are powered by a removable, rechargeable NiMH battery with an estimated battery life of 300 shots (before charging up again). Physically, it’s a tall device thanks to the mechanics underneath the lens, and it weighs 41 pounds. It has a rugged metal frame camera body with a generous grip on the right side, and many people feel much more in control of their photos with this type of square-shaped device. It also can mean it has a bit of height, and you might be able to prop it onto a table or ledge rather than have to use a tripod in certain situations. You can also shoot video and record sound on it, and it has an internal microphone for voice recording. You can composite-video out in NTSC or PAL formats. Kodak DCS cameras is a really interesting piece of photographic equipment that has many of the features of a film or old style video camera and can be compatible with both worlds. It is easy to learn for both new photographers as well as professionals. The more familiar you become with the device, the more options you will see to deliver quality images. I really like this camera. I live in Japan, but are not you shipping to Japan? It is a very worrisome camera.